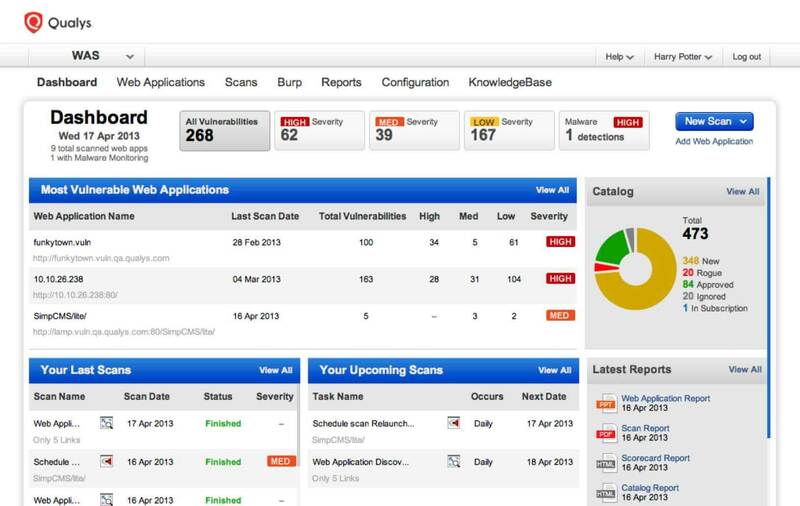 Web Application Scanning | Qualys, Inc.
Find, fix security holes in web apps, APIs. WAS finds and catalogs all web apps in your network, including new and unknown ones, and scales from a handful of apps to thousands. With Qualys WAS, you can tag your applications with your own labels and then use those labels to control reporting and limit access to scan data. WAS’ dynamic deep scanning covers all apps on your perimeter, in your internal environment and under active development, and even APIs that support your mobile devices. It also covers public cloud instances, and gives you instant visibility of vulnerabilities like SQLi and XSS. Authenticated, complex and progressive scans are supported. With programmatic scanning of SOAP and REST API services, WAS tests IoT services and APIs used by mobile apps and modern mobile architectures. WAS can insert security into application development and deployment in DevSecOps environments. With WAS, you detect code security issues early and often, test for quality assurance and generate comprehensive reports. 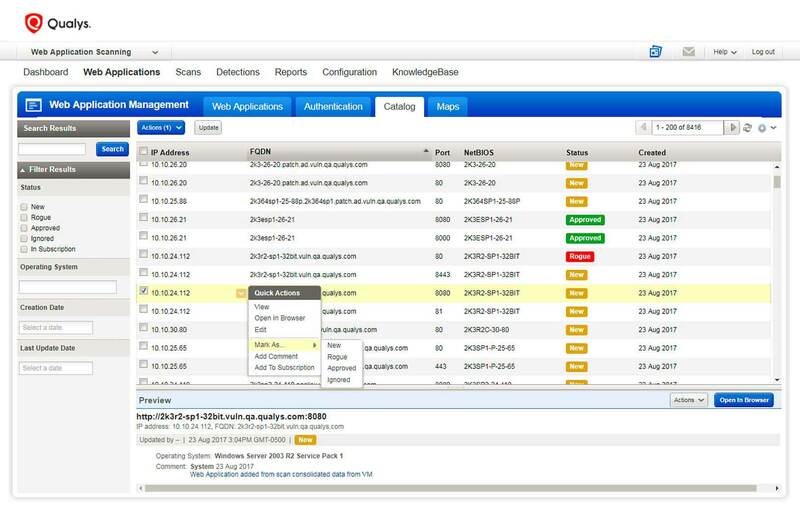 With its tight Qualys WAF integration, WAS continuously monitors and virtually patches production apps. WAS scans an organization’s websites, and identifies and reports infections, including zero-day threats via behavioral analysis. 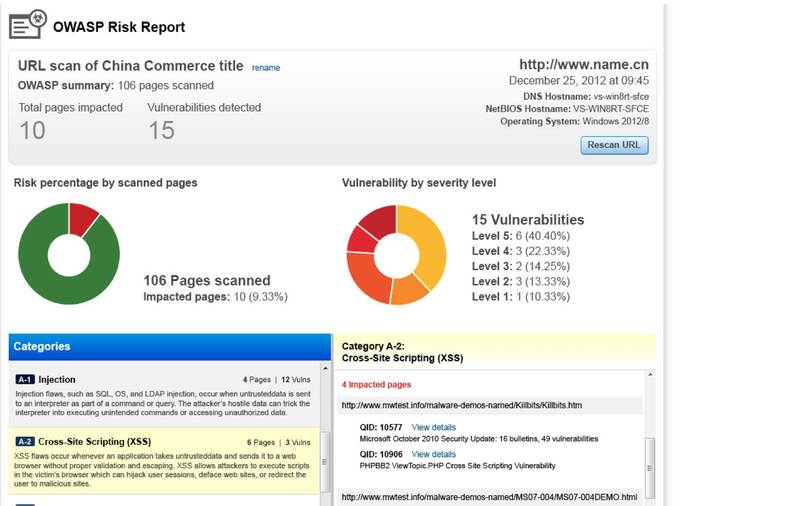 Detailed malware infection reports accompany infected code for remediation. A central dashboard displays scan activity, infected pages and malware infection trends, and lets users initiate actions directly from its interface. Malware detection functionality is provided via an optional add-on. Web apps, often plagued by vulnerabilities and misconfigurations due to poor coding and faulty hardening policies, can be put on your network by almost anyone. Large organizations have hundreds, even thousands of apps. Qualys WAS gives you visibility and control by finding official and “unofficial” apps throughout your environment, and letting you categorize them. Unsafe web applications offer hackers an attractive attack surface and convenient entry point into your IT environment. When breached, web apps can expose massive amounts of confidential business data. Qualys WAS protects you with incisive, thorough, precise scans, scaling up to thousands of web apps and with few false positives. 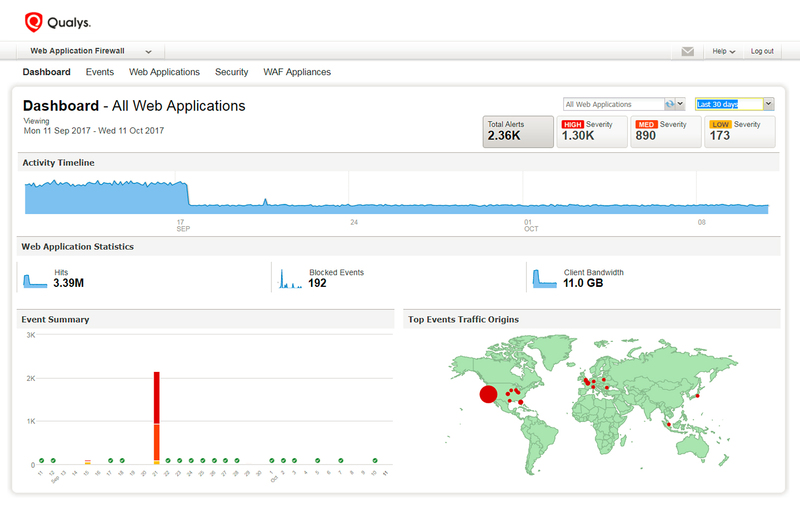 Qualys offers unparallelled web app security with the seamless integration of Qualys WAS and Qualys Web Application Firewall (WAF), which gives you one-click patching of web apps, including mobile apps and IoT services. As organizations retool and expand the reach of their web apps to pursue digital transformation innovations, Qualys WAS’ interactive reporting capabilities give you the big picture of your web app security posture and let you drill down into details.